The Polynesian islands, located in the Pacific Ocean are not as quiet as they look for their white sandy beaches. Hidden amidst the jungle of PortAventura Polynesia, where only the natives know how to get there, sleeping is one of the most devastating forces of nature, a terrible volcano that is waiting to be awoken from its long slumber. This is the attraction of PortAventura Tutuki Splash. Dare to challenge the volcano of PortAventura aboard a boat, sailing through the waters which appear to be calm but harbor a host of surprises. This attraction is one of the most adrenaline pumping throughout PortAventura Polynesia. Only a few have survived the fury of the volcano. Dive into its depths with caution, because in PortAventura Tutuki Splash, if you hear load rumbling and the walls begin to shake, you’re a goner! The gods will punish you and drag you towards a major eruption. Can you escape the terrifying fall? 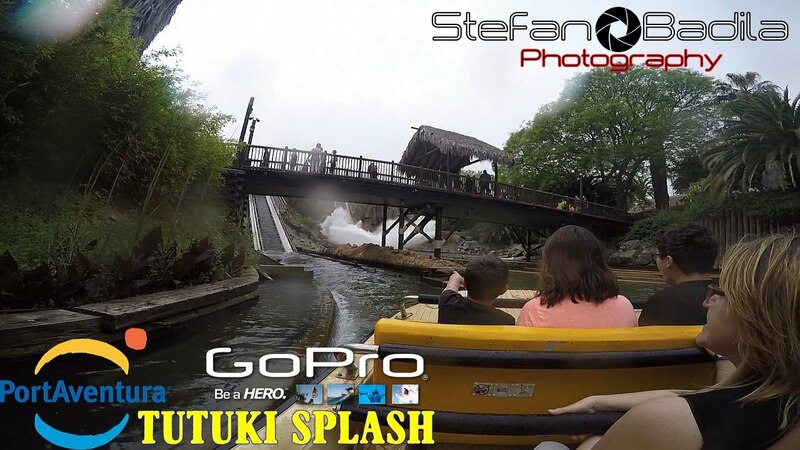 Be brave and put your courage to the test on the ride Tutuki Splash in Polynesia. During your tour inside the ride of PortAventura you will be surrounded by lush vegetation that will prevent you from seeing the way but with the help of several Polynesian "tikis" who will guide you in your search for the exit. The attraction Tutuki Splash is one of the most refreshing of PortAventura where you can not escape from the big wave splashing you like a typhoon hitting a Pacific island. The more adventurous or simply those who are feeling the heat must be in the first and last row of the barge, this way you get to be totally soaked! Be the bravest of all and cool off in the most refreshing attraction of the theme park aboard PortAventura’s Tutuki Splash.